My open days at Sarva every Saturday have been a great success. I am gathering a local following and sales have been better than I expected. I leave for Italy in a few days and I am clearing the racks to make room for some autumn designs. 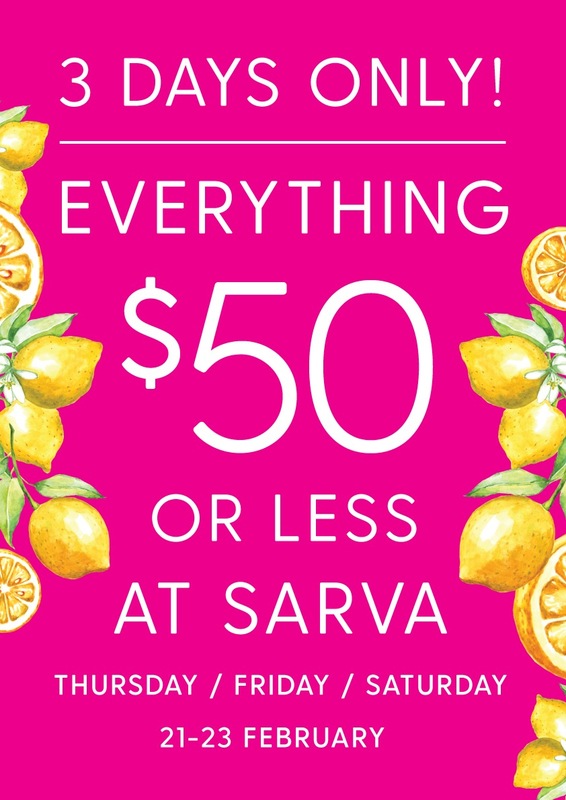 My friend Sarva, who owns the shop, is going to continue opening the shop each Saturday. He does made to measure and alterations. Monday to Friday the front door is closed to allow him to get on with his work, but you can ring the doorbell for attention. For 3 days, Thursday 21, Friday 22 and Saturday 23rd February the shop will be open from 10.00-2.00 and everything will be $50 or less. We are at 239 Boundary St, West End on the corner of Corbett St. There is a vegan restaurant on one side and the very excellent Alphabet Cafe on the other and a brand new vegan tapas bar just in case you get hungry. Drop in for a bargain. I have been making cotton and linen shirts for decades. See you soon. We who can not attend your Sale, are buried under icy streets and slippery sidewalks any chance of seeing some of your sunny styles? Ones I’ve seen in the past have been drool worthy. Linen – yum. Cotton – crisp! You always choose lovely soft colours. Good Luck with clearing up, packing and tripping on your way to Bella Italia! I have added a couple of photos. I hope the weather warms up soon. I am actually looking forward to some winter weather. It has been very hot here. Winter in Italy sounds good. You should have one in Bagni di Lucca…. My garden and travelling around Italy keep me busy there. I wish I had sewing talent or design talent but I have neither. I am happy I learned to sew when I was a child.